Home / Blog / Why Vitamin C? Overexposure to ultraviolet radiation and environmental pollutants can accelerate skin aging by degrading collagen and triggering oxidative stress in the skin. Fortunately, the anti-aging benefits of a time-honored remedy used by ancient civilizations to heal their skin can help overcome these undesirable effects. Vitamin C is an essential component in the body’s production of collagen and a potent antioxidant that can help rejuvenate aged and photo damaged skin. 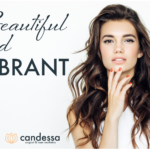 Vitamin C is not only necessary for collagen production and maintenance, but it is also a potent antioxidant that can neutralize free radials in the skin. Free radicals are atoms or molecules with an unpaired electron. They are very chemically reactive and short-lived. Because of this, their destructive power is limited to the place where they are created, which mostly in the cells’ mitochondria. Because nature’s law is to have matching electrons, these free radicals frantically seek opportunities to complete their of electron. In their haste, free radicals often attack nearby chemical compounds. These chemical compounds can be those involved in important enzymatic reactions, or even a part of a DNA molecule. As a result, the damage left behind can wreak havoc throughout the body, such as in heart muscle cells, nerve cells, and the skin. Unfortunately, free radicals are an unavoidable fact of life that must be dealt with everyday. Here is how they damage the skin and cause aging. 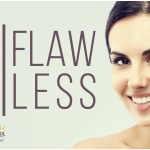 Although our skin naturally has cellular enzymes and other metabolic processes to deal with this oxidative damage, aging and environmental stresses like sunlight, smoking, and pollution, can eventually over power these protective controls. Applying an antioxidant like vitamin C is a very effective way to boost the skin’s natural protect against age-causing free radicals. Vitamin C is an electron donor and therefore an excellent free radial scavenger. Once absorbed into the skin, this water-soluble vitamin can also help regenerate vitamin E that has been oxidized. 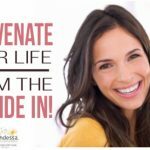 Vitamin E is a potent lipid-soluble antioxidant that is important for preventing oxidative damage in the lipid cell membrane. 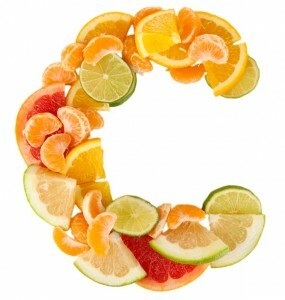 In short, vitamin C is a potent and necessary ingredient for healthy and radiant skin. With summer upon us, it is imperative to keep our skin protected and nourished from harmful environmental factors. This month’s Vitamin C Facial is the perfect summer pick-me-up to keep your skin healthy and happy!